Razor bumps caused by shaving can leave your skin feeling uncomfortable, painful and even lead to a skin infection. Razor bumps are not difficult to prevent. Be care of recurring razor burn or bumps. This repeated irritation can lead to an infection that’s even more difficult to treat. Good hygiene, sensible shaving habits and the proper technique when shaving can all help prevent unsightly razor bumps. Making the right decision about what method of shaving to use, being patient during the process of shaving, and taking precautions to prevent clogged pores, rashes, infection can prevent painful razor bumps. Prepare your skin before shaving. Take time to prep because shaving any area dry will chafe the skin and cause serious irritation. 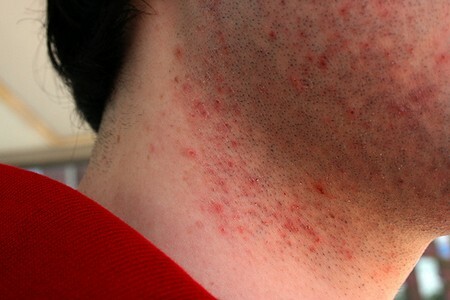 Chaffed skin is one of the major causes of razor bumps due to irritation. Wet your skin before you shave. Wet skin is easier to shave. Having a warm shower or bath will open your pores in preparation for shaving. The pores open and hair follicles and skin cells are soft and supple. This is will help prevent irritation and ingrown hairs that cause razor bumps. If you don’t have time for a full bath or shower, you can achieve the same effect by applying a hot cloth to the area you need to shave. Use a softening agent like a shaving cream prior to shaving. Creams and products that have aloe vera and vitamin E create a film of protection between the skin and the razor during shaving. Rinse the shaving cream from the area with lukewarm water. If a manual disposable razor causes irritation then try an electric razor. There are wet dry electric razors that can be used whether skin is wet or dry. Electric razors reduce the chances of razor bumps because they don’t cut the hair as close as disposable razors. You can choose a razorless method altogether if the irritation gets intense. There are many depilatory creams are very popular and easy to apply. The application is simple and easy. Some depilatories have blade free razors that help remove the hair. Because these creams remove the hair from the root, these smooth feel lasts longer. Don’t apply deodorants or lotions with fragrance on the newly shaved skin immediately after shaving. This can cause irritation to the skin and make you uncomfortable. Throw away disposable razors frequently. Disposables dull quickly and can cause razor bumps.